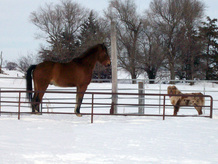 Red Raven, aka "Red" is our worker bee, always wanting to be out herding the horses. I love this picture of her guarding the gate. 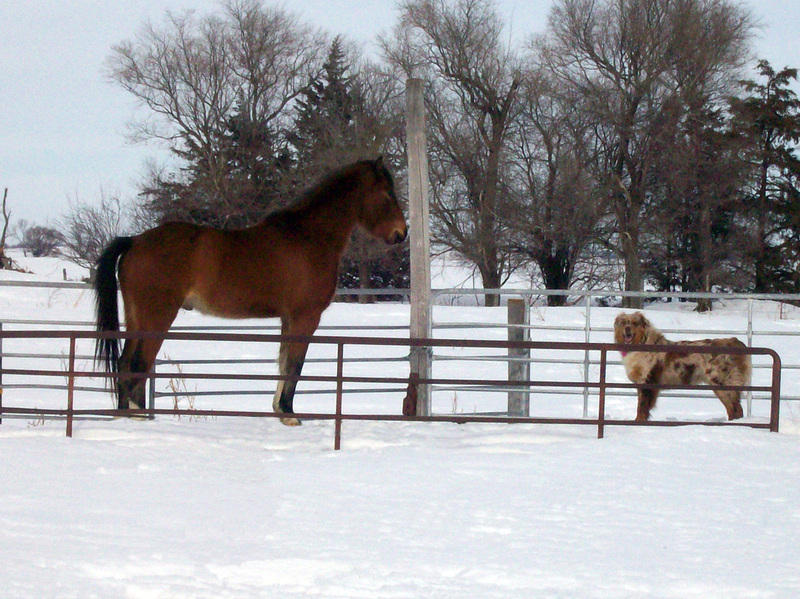 We had a tremendous amount of snowfall in 2010 and the pony she is guarding in reality stands about 46" tall and the gate he is standing behind is 5 feet tall. Red's pups have flown all over the country. They are terrific, intelligent, laid back puppies, with 2 that have made great therapy dogs.